Robert Galbraith filed this request with the Department of Justice, United States Marshals of the United States of America. 1. 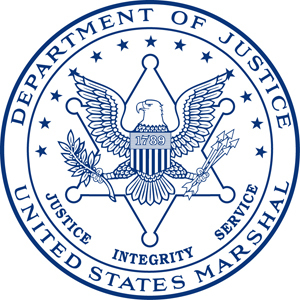 Any and all records of requests made by the United States Marshals Service to the Erie County Sheriff's Office for assistance tracking individuals using cell site simulators, including but not limited to investigations on: July 30, 2010; December 9, 2010; February 10, 2011; June 14, 2011; June 17, 2011; August 15, 2011; August 17, 2011; January 25, 2012; January 31, 2012; May 16, 2012; October 19, 2012; February 26, 2013; May 8, 2013; September 20, 2013; August 12, 2014; and August 13, 2014. 2. Any and all records reflecting the number of investigations in which cell site simulators were used, the number of those investigations that resulted in prosecutions, and the number of those investigations that resulted in convictions. 3. Any and all applications submitted to state or federal courts for warrants, orders, or other authorization (including pen register court orders) for use of cell site simulators in criminal investigations, as well as any warrants, orders, authorizations, denials of warrants, denials of orders, denials of authorization, and returns of warrants associated with those applications. 4. Any and all records regarding the use of cell site simulators in closed investigations. 5. Date and docket number of any responsive records that are sealed. Apologies for not specifying. I am looking for records of requests made to the Erie County, New York Sheriff's Office. The United States Marshals Service is in receipt of your Freedom of Information/Privacy Act request for records maintained by this Bureau. We have commenced a search for documents responsive to your request and will contact you when our processing is complete. Although we are unable to determine at this time the amount of fees to be charged to you, if any, the filing of your request constitutes your agreement to pay all applicable fees that may be charged under 28 C.F.R. § 16.11 or § 16.49, up to $25.00. You will be notified as soon as practicable if the estimated or actual fee for satisfying your request exceeds $25.00. If you should have any questions, please contact us at (202) 307-9054. I wanted to follow up on the following Freedom of Information request, copied below, and originally submitted on April 9, 2015. Please let me know when I can expect to receive a response, or if further clarification is needed. You had assigned it reference number #2015USMS28022. Pursuant to number 1 and 6 of your request, the USMS conducted a search of the Investigative Operations Division and located no records responsive to your request. With respect to items 2, 4, and 5 of your request, the USMS has no centralized database that tracks the information and has no means to search for the requested information. Be advised that the records requested in item 3 of your request that may be maintained by the USMS are protected from disclosure by a court seal issued by the United States District Court. While this material might also be exempt from disclosure under the FOIA pursuant to 5 U.S.C. § 552 (b)(3) and 7(C), in this instance, the USMS lacks the discretion to consider releasing this information to you. See GTE Sylvania, Inc. v. Consumers Union, 445 U.S. 375, 384-86 (1980) (finding "no discretion for the agency to exercise" when records are sealed, thus no improper withholding). If you are dissatisfied with my action on this request, you may appeal by writing to the Director, Office of Information Policy (OIP), United States Department of Justice, Suite 11050, 1425 New York Avenue, NW, Washington, D.C. 20530-0001. Your appeal must be received by OIP within 60 days of the date of this letter. Both the letter and the envelope should be clearly marked “Freedom of Information/ Privacy Act Appeal.” In the event you are dissatisfied with the results of any such appeal, judicial review will thereafter be available to you in the United States District Court for the judicial district in which you reside or have your principal place of business, or in the District of Columbia. For your information, Congress excluded three discrete categories of law enforcement and national security records from the requirements of the FOIA. See 5 U.S.C. 552(c ) (2006 & Supp. IV (2010)). This response is limited to those records that are subject to the requirements of the FOIA. This is a standard notification that is given to all our requesters and should not be taken as an indication that excluded records do, or do not, exist.